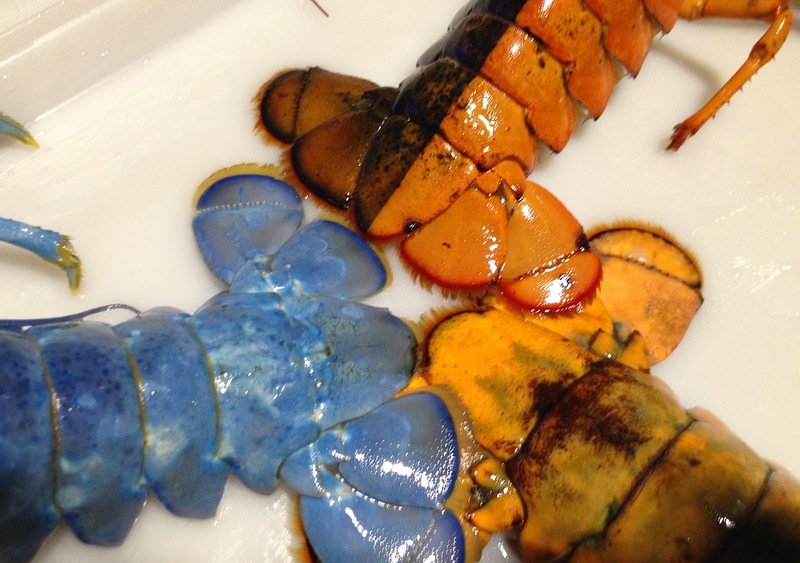 You may have heard news recently about a colorful lobster that was just donated to an aquarium in Maine. We have another bright and beautiful lobster to introduce! 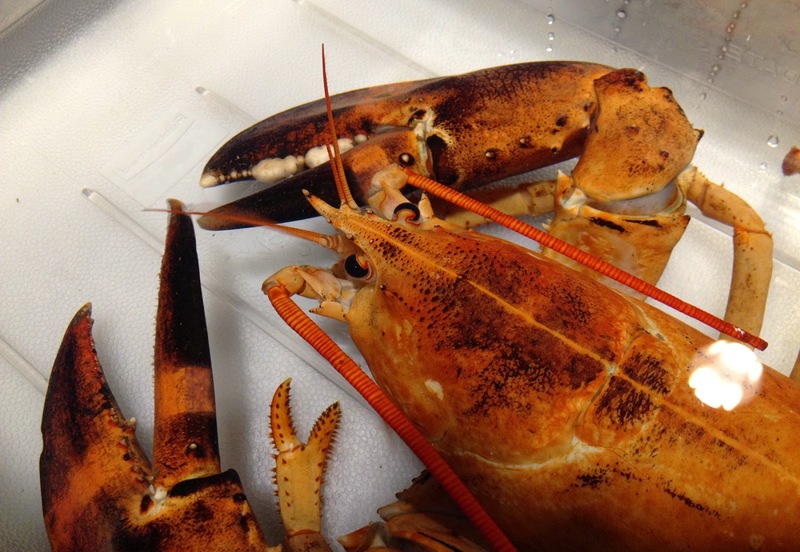 This orange lobster was recently caught off the tip of Cape Cod. 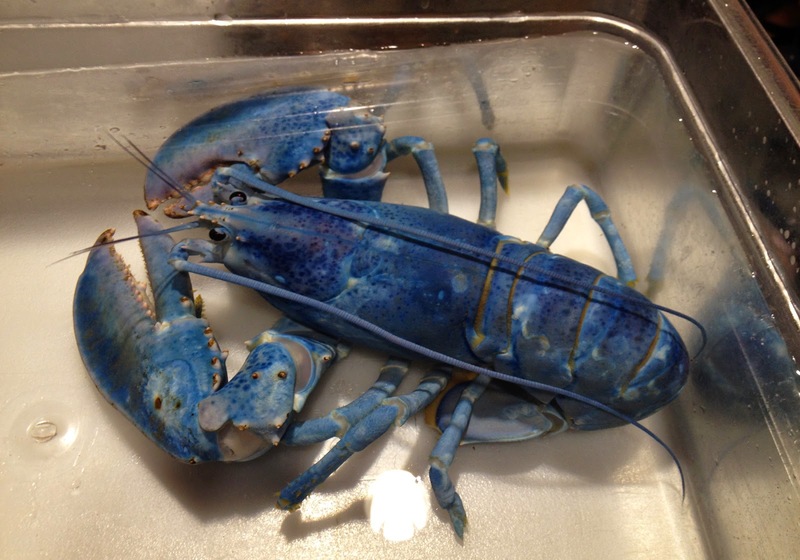 She joined resident lobsters sporting other surprising colors. 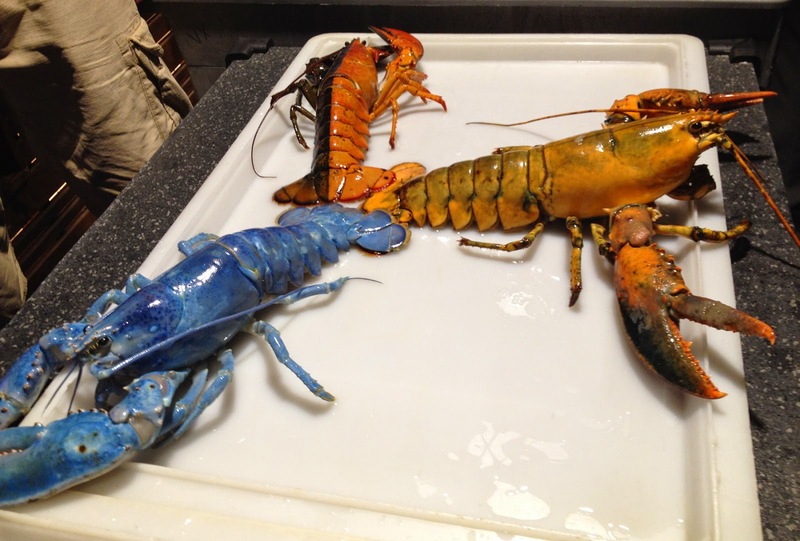 They include a cobalt blue lobster, the Aquarium’s famous Halloween lobster, which is orange on one side and black on the other, and as well as several regular colored lobsters. Billy and Cheryl Souza of North Truro, Mass., found the 1 ½ pound lobster earlier in August in one of their traps, but they put it back in the water in a secure trap for a few days so that a clutch of eggs on her abdomen would disperse. Billy, who is a third generation lobsterman, chuckled that he hopes that there are many more orange lobsters locally in about seven years when those eggs would normally mature into market size lobsters. Come see the lobsters in the Northern Water's gallery this weekend. That's where we keep the big guys. Watch them crawl and scrabble around their regular exhibit. And if you want to see cute, check out the juveniles in the Blue Planet Action Center. Plan a visit to the Aquarium. Meet one of the largest lobsters to have lived at the Aquarium. Lobsters communicate by peeing in each other's faces. Aquarium scientists are researching lobster shell disease by rearing baby lobsters behind the scenes. Look for a lobster nursery display in the Blue Planet Action Center.